Spirits were high as the boys in blue took home a win over the cubs, however scores unfortunately were not not as high (I kid, I kid). 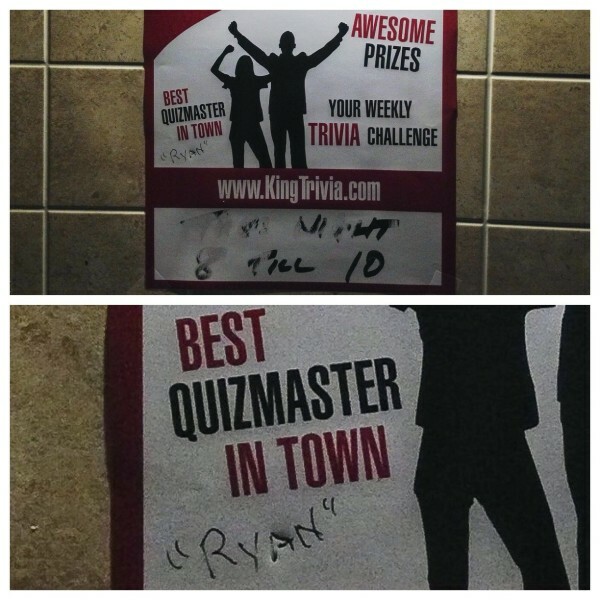 It's always interesting to see fans write on the restroom wall about you, but not sure why my name is in quotes. "Thank you?" Everyone's SUPER excited for the upcoming tournament of champions... even baby Connor. Well, especially baby Connor. 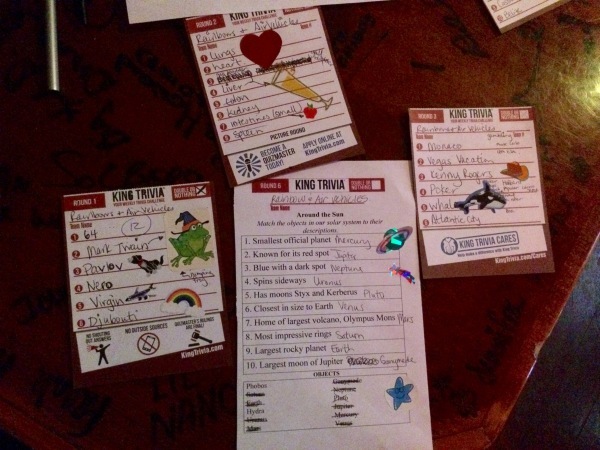 People rarely realize that if you add stickers that are ON THEME with your answers you will get bonus points.